In an effort to have the best gear at the lowest prices sometimes you need to be creative. 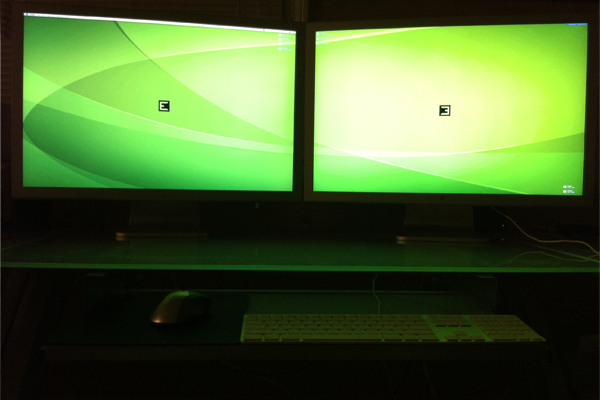 I recently purchased an ‘as-is’ style 30″ Apple® Cinema Display via eBay™ at a significant discount. 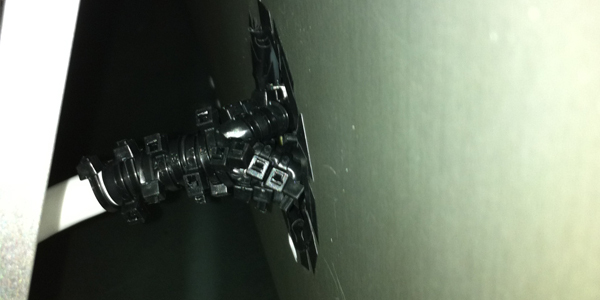 When it arrived I quickly assessed the damage; perfect, distorted, and flickering seemed to be the 3 modes of operation. While perfect mode was pretty good it only lasted for short spans, would require constant powering down, or the occasional insult. At this point I was convinced I needed a new LCD screen which are few and far between…-or an expensive trip to the Genius Bar®. I decided to keep ‘using’ it which quickly became frustrating. They say the more screen real estate you have the more productive you are but this is certainly not the case with a malfunctioning monitor. After exhausting all patience and powering off and on again not really fixing the distortion I started tilting it up and down and noticed a trend. The monitor would work perfect when it was at either extreme. This led me to believe this problem was connection related a.k.a. easier on the wallet. Using your phillips head screw driver take out the 4 screws on the left and the 4 on the right. Put those somewhere safe like a magnet. You can now remove the brackets on the end that keep the bezel tight, pry them with the scraper if needed. Now all you have to do is pull the slide locks on either end. 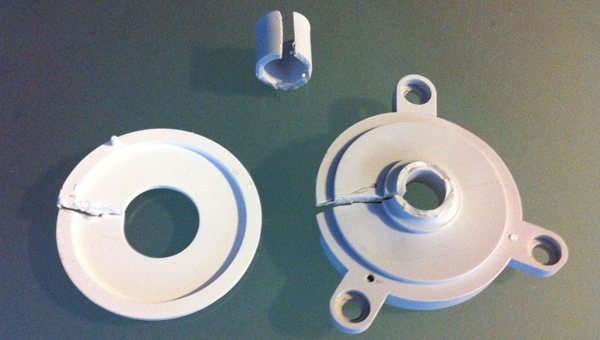 It worked well for a day or two for me, I just clamped down everything with some longer screws and big washers. I’ve since realized that when the whole unit is buttoned up this mod is pointless because there’s already pressure on the connection from the whole thing being sandwiched together so tight. It’s potentially worth a shot because the next step is removing them for good. 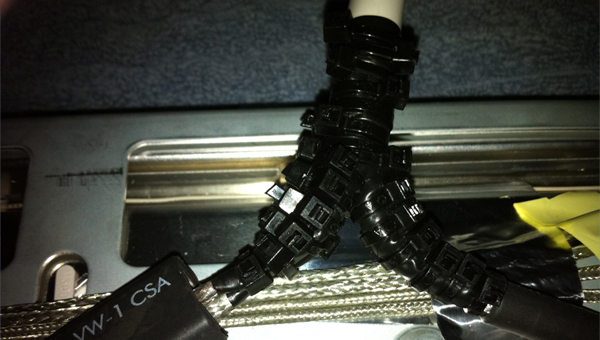 The reason why you get a bad signal is because there is a tiny break in your cable somewhere. I found that slack helps complete the circuit more effectively. Remove the 3 main connection screws from the previous image. 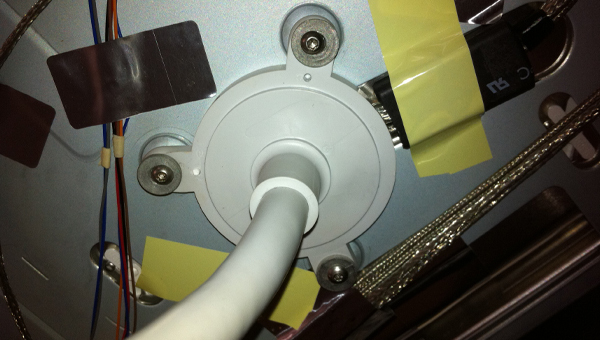 Remove the lower two screws that tie down the secondary sheathed cables. Put it all back together, plug it all back in and give it a shot! If all goes well you should be good to go until something else breaks!